Tech at Night: Julius Genachowski goes into private equity. Peter King vs Rand Paul. Tech at Night: 2014 to bring more Net Neutrality, more Spectrum issues, and more anarchists pushing agendas? 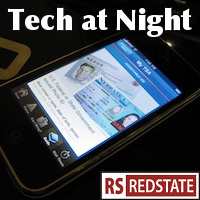 Tech at Night: Here they go again with the Census. Do not do a comprehensive Communications Act. They told us for years that Mitt Romney was a terrible person because of his ties to private equity. Now Julius Genachowski, Obama’s first FCC chair is going into private equity, and not a peep from the radicals. Erick Erickson’s already covered all the reasons Peter King should be excluded from polite political society, but I just want to remind as well that Rand Paul’s grandstanding isn’t all that great. Snowden is an unrepentant criminal and traitor and it’s a shame that Paul is just sucking up to his father’s crazier fans. I guess he really wants their campaign donations more than he wants his dignity. They told us Net Neutrality was so vital, so essential, and we needed big government action to regulate the Internet to save us. Well, now AT&T is trying a new idea to let web providers subsidize people’s Internet access. Here comes the outrage. Remember: the radicals want ‘single payer’ Internet, and will shriek hysterically at the idea that anyone like, has to pay for Internet, man. Gotta love how the online terror group Anonymous, which uses as its symbol the mask associated with caught and convicted terrorist Guy Fawkes, they can’t even feed the homeless without committing crimes and breaking into people’s computers. Makes you wonder if the whole “Op” thing is a front for something else going on. Here’s an analysis from a customs expert on border searches of computers. He concludes “In my opinion, we have not heard the last word about what is and what is not an unreasonable search by CBP officials at the border,” so it’s good to know my reading was correct of that terribly headlined report before.